In almost every case, parlay betting leads to profitability. Online bookie agents must first understand this before reading the rest of this blog. That’s the key thing to remember. Don’t fear parlay bets. There are some things to consider, though. 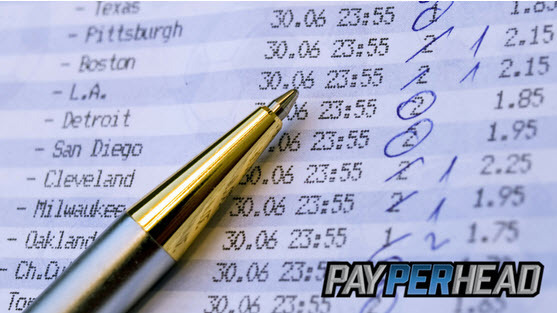 Before getting into that, check out why parlay betting is a great driver of profits. Parlay bets are huge profit drivers because in most cases parlays are designed to ensure losses. Yes, a casual player will occasionally hit a huge parlay. Huge parlays almost never happen. The reason is due to the parlays odds structure. A 2-team parlay pays 2 to 1. The true odds are much closer to 3 to 1, or, maybe, even 7 to 2. When it comes to football, basketball, and baseball games, Vegas oddsmakers are so good at creating correct against the spread odds that it’s much more difficult to hit a single game, much less 2 games. Think of parlay betting as more like a casino bet than anything else. When a player spins the roulette wheel, that player gets even money if the ball falls on red or black. The true odds of the ball falling on red or black isn’t even money because of the 2 green spaces. That’s where the casino gets its edge in roulette betting. The edge in parlay betting is the spread. That’s what the spread is for. It’s designed to make both sides of a wager attractive so that money is spread around on different games, from different players, across the sports betting board. But, you might be thinking, can’t smart pro players juice parlay bets by adding money line teams? Ah, that’s why the next section is so important for pay per head agents to read. Here’s a reminder: you, the per head agent, runs your own business. The bookmaking business belongs to you. Why must you allow players to add as many money line bets as possible to a parlay? Nothing says you can disallow players from adding money line wagers to boost their parlay payouts. Just don’t allow it. You can also put a limit to the number of teams placed into any parlay bet. There’s no reason, as an example, for someone to put 10 teams into a parlay. You can also decide to take a game off the board for parlay betting. Thinking about the point spread is a good method to finding games to take off the board for parlay wagers. Clemson is favored by close to 40 points to beat Kent State in a Saturday game. Clemson is such a huge favorite that it’s obvious odds makers came up with a random number. Maybe, disallowing Clemson to be a part of any parlay bets makes sense because Vegas created a spread that appears to have nothing to do with research. If you use smart management methods to prevent the big parlay score, the likelihood of a big parlay score happening is almost nil. All online bookie agents should encourage parlay bets. The edge is definitely with the bookie. The right per head software will assist online bookies with risk management tools to keep online bookies thriving. PayPerHead.com offers the best tools in the business for online bookies to become Master Agents. This software was made by bookies, for bookies, so they know what agents need in order to be successful. Right now to kickoff the NFL Regular Season, online bookies can get their Prime Package for just $3 per head. That gives agents access to all their premium tools and features that generate cash, and manage risk. This deal is only happening for a limited time, so sign up today, then call in and speak to a PayPerHead rep to get your $3 per head deal.